Serena Williams just solidified her status as one of the greatest athletes of all time with another stunning win at Wimbledon. 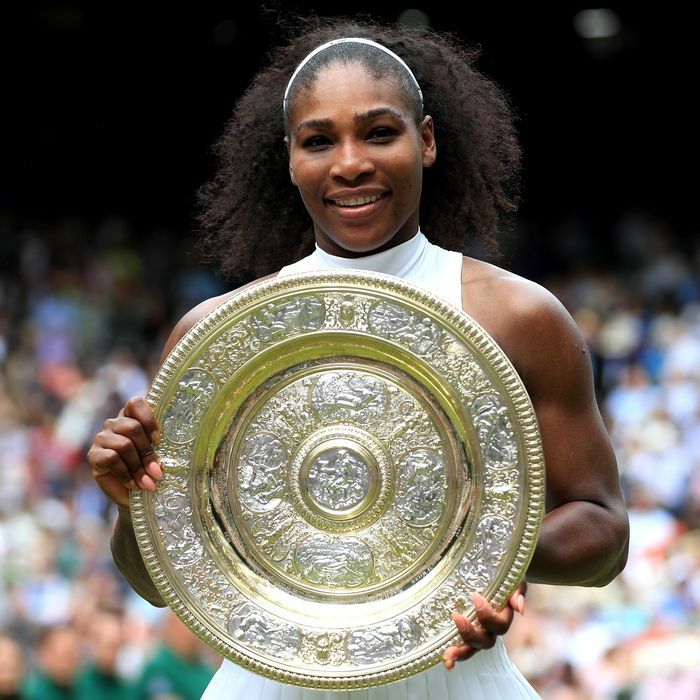 Williams beat Angelique Kerber Saturday in the Wimbledon women’s singles final, with a score of 7-5, 6-3, as her older sister Venus looked on, alongside Serena’s old pals Beyoncé and Jay Z.
Williams is now neck-and-neck with former pro Steffi Graf when it comes to Grand Slam singles titles, with Margaret Court holding the record with 24 wins. Williams got a well-deserved standing ovation when she received the ladies’ singles trophy for the seventh time. Serena will be back out for her doubles match with sister Venus against Hungary’s Timea Babos and Kazakhstan’s Yaroslava Shvedova later today.